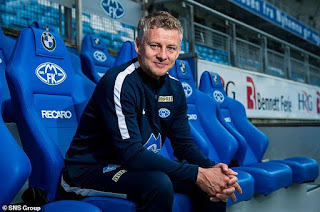 Manchester United has appointed their former striker, Ole Gunnar Solskjaer as the club's new interim manager following Jose Mourinho's sacking on Tuesday. Solskjaer said on Molde's website: 'In football you never know what can happen. We get proof of time after time. This is an opportunity I had to take. I am looking forward to leading Manchester United until the summer.